Canada’s economy is taking another breather. So, too, might the Bank of Canada. But observers believe it’s temporary. And while the good times won’t roll again anytime soon, at least the modest times will, as long as the trade war with the United States doesn’t escalate. We’ll get two reports this Friday that put this in perspective. The first, from Statistics Canada, is expected to show that the economy flat-lined in April, that cruellest of months, with no growth or a mild contraction. The second is the Bank of Canada’s widely watched business outlook survey. Both are pieces of the puzzle leading up to the central bank’s July 11 rate decision. Until recently, a rate hike of a quarter of a percentage point was seen as a given, but markets aren’t so certain now, after last week’s cooler-than-expected readings on inflation and retail sales, and the Trump administration’s ongoing assault on Canada. Market-implied probability of a July 11 hike is now down to 54 per cent, from 73 per cent a week ago, according to Bloomberg data. Economists expect Statistics Canada’s report to show gross domestic product was flat or down by 0.1 per cent in April. That follows two better showings in March and February, and would kick off the second quarter on a sour note. “But there might be some better news on the horizon given that at least part of the weakness appears to have been transitory,” said Royce Mendes of CIBC World Markets. 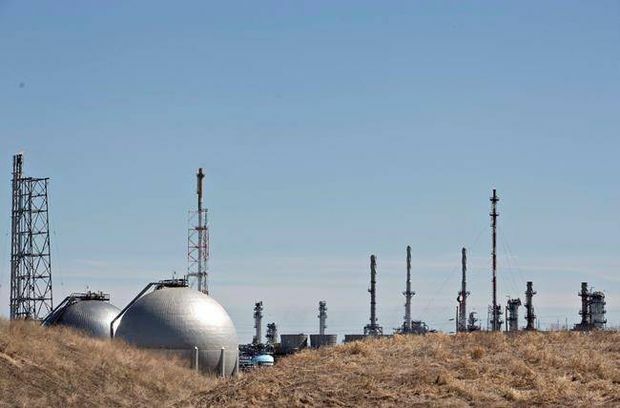 The Suncor Refinery in Edmonton is seen in April, 2014. A study by the Canadian Energy Research Institute concludes that refineries in central and Atlantic Canada would benefit in terms of lower costs and lower global greenhouse gas emissions if they bought more Canadian crude oil. But “thanks to a solid handoff from [the first quarter], and an expected bounce back from some of that transitory weakness over the next two months, second-quarter GDP growth still looks set to come in above 2 per cent,” Mr. Mendes added. Just after that, the Bank of Canada releases a quarterly look at business optimism and plans, a key report before the rate decision. “The BOS indicator (a summary measure for the survey) was not far from historical highs in the prior survey, and would do well to hold steady during this round,” said Benjamin Reitzes, Bank of Montreal’s Canadian rates and macro strategist. 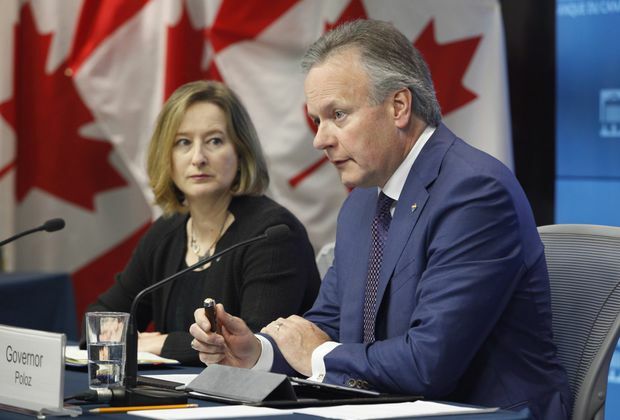 Mr. Reitzes still expects Bank of Canada governor Stephen Poloz, senior deputy Carolyn Wilkins and their colleagues to raise their benchmark rate next month. “Over all, the tone of the survey is expected to be generally positive, though not as upbeat as in the spring,” he added. There’s not much on the calendar, but let’s see how markets open after last week’s mixed showing amid concerns over global trade spats. The S&P 500 dipped, but Canadian stocks climbed, indeed to a record, with the S&P/TSX Composite Index up 0.8 per cent. “This is all the more impressive given that it comes alongside news flow that reads anything but bullish for the Canadian economy (see the weakening loonie) and equity market,” BMO senior economist Robert Kavcic said. “Since bottoming in early April, the index has jumped more than 7 per cent, a rare bout of outperformance, however modest, versus the S&P 500. The April reading of the U.S. S&P Case-Shiller Home Price Index is expected to show a gain of 6.8 per cent from a year earlier, and 0.5 per cent from March. Notable is a speech by Mr. Poloz to the Greater Victoria Chamber of Commerce, which may help give markets a sense of the Bank of Canada’s thinking just before the July decision. “Recent data have reduced the odds of a July rate hike, however we’ll get a clearer idea if one’s still on the table [this] week, with Poloz likely commenting on the recent data/trade uncertainties in Wednesday’s speech,” CIBC’s Andrew Grantham said. Also on tap is the May report on U.S. durable goods orders, which economists expect to show a dip. AGF Management Ltd. and Corus Entertainment Inc. additionally report quarterly results. So, too, does Canopy Growth Corp., a major cannabis player, which may have some interesting things to say after last week’s passage of laws to legalize marijuana. There’s a big summit of European leaders. The European Council (EC) will discuss everything from Brexit and migrants to banking and, no doubt, trade. 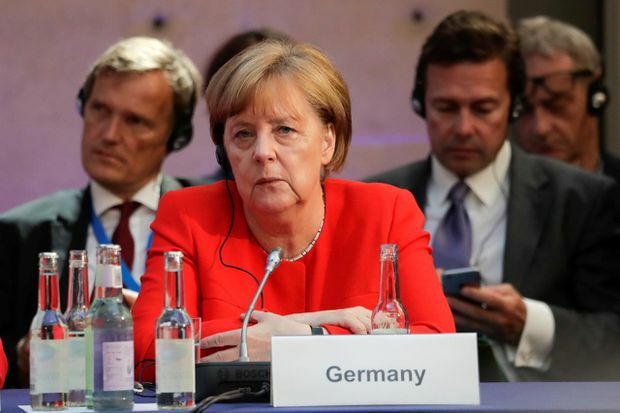 “The European Council meeting on Thursday will focus on immigration, allowing [German Chancellor] Angela Merkel to push for EU-wide policies which might ease dissent within her coalition,” said Jennifer McKeown of Capital Economics. They’ll also talk about Brexit bargaining at the EC gathering. “However, given that many issues remain unresolved, the withdrawal agreement and framework on the U.K.’s future relationship with the EU are unlikely to be signed off anytime soon, possibly not until December’s European Council meeting,” said Liam Peach, Ms. McKeown’s colleague at Capital Economics. Besides GDP and the Bank of Canada survey, markets will watch for reports on Japanese employment and industrial production levels. And finally, there is a report on U.S. spending and income, each expected to show a gain of about 0.4 per cent in May.